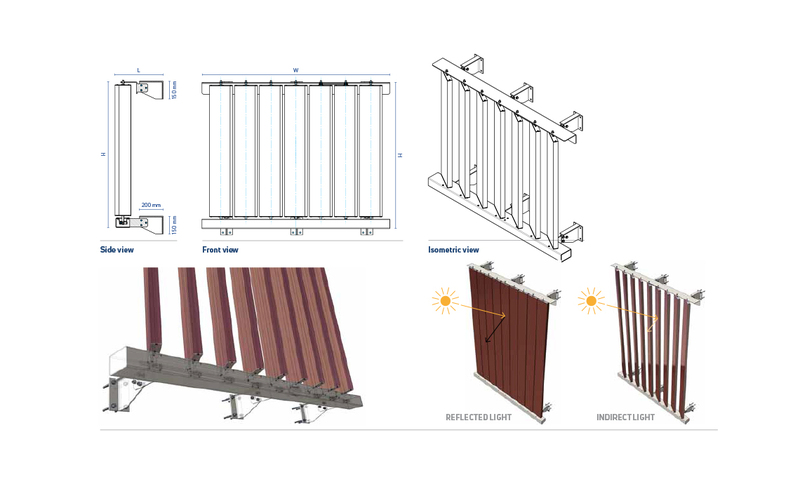 Sunbreakers consisting of ellipsoidal or square profiles, which may be of different shapes and dimensions and are either rotatable or fixed into aluminium or steel guides. When rotatable there are two possible ways of profile rotation. They can be rotated using a visible push motor or an invisible motor which is integrated into the sunbreaker guides. In this case the profiles can even be turned for a full 360 degrees. 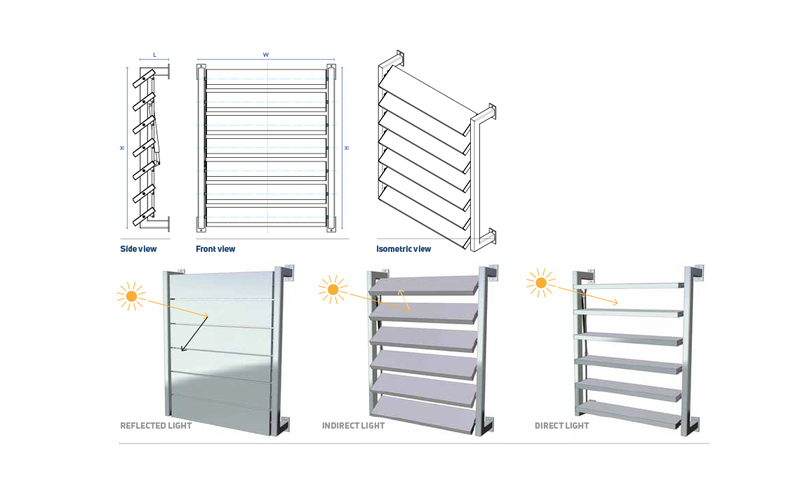 fixed installation of sunbreakers can be made with a flexible joint through the pin on the one side of the profile, and with a screw joint of the profile and guide on the other side. It is always in a somewhat inclined position where we take into consideration the client’s wishes and demands for shading and transparency. 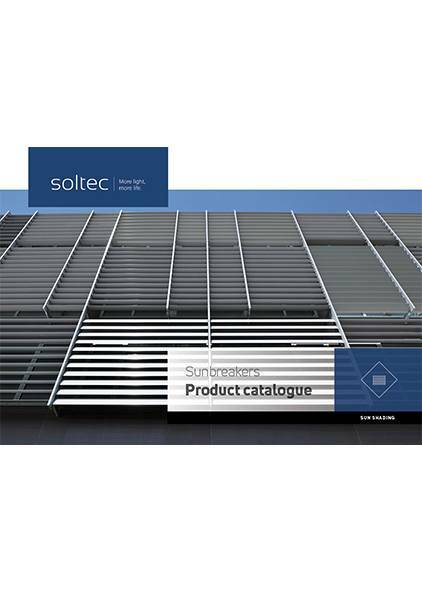 The sunbreaker guides are fixed to the building through brackets which are specially designed according to project requirements and the point of fixing (concrete, glass wall, window). Sunbreakers are powder coated in RAL colours as chosen by the client. However, the steel parts are hot-dip galvanized before applying paint.